New Hampshire is a region where you will come across helpful residents. If you too want to make a difference in someone’s lives, prepare for the hearing aid specialist licensing exam here in New Hampshire by registering for the Hearing Aid Academy. The Hearing Aid Academy is a comprehensive and 100% online advance course which make it easy for students to learn a new skill without leaving their job or family commitments. Laura Bridgman, born in New Hampshire, was the first deaf-blind American child to get a significant education in the English language. This was 50 years before the famous Helen Keller. She learned to read and communicate through Braille. She was educated at the Perkins Institution for the Blind.nts. If you are always dragging yourself out of the bed to go to your job, you do not probably love what you do. Therefore, if you are tired of working for someone else and want to have a flexible work schedule, hearing aid specialist may be your calling. According to labor statistics, a licensed hearing aid specialist can earn more than $58,000 a year. However, some companies are ready to pay even more owing to the increasing demand for licensed hearing aid specialists. Now it’s easy to pass the hearing aid specialist licensing exam here in New Hampshire as you are not required to leave your daytime job or invest 2 years. Prepare for the International Licensing Exam (ILE) administered by the International Hearing Society (IHS) online at Hearing Aid Academy. After becoming a licensed HAS, you will be responsible to evaluate people suffering from hearing loss and make it easy for them to choose a hearing aid that fits their lifestyle and budget. You will also be responsible to carry out a series of tests and evaluations to ensure that the hearing aids work and fit perfectly. As a qualified professional, you can work at a retail location, offer a mobile hearing evaluation, or open up a hearing aid center. 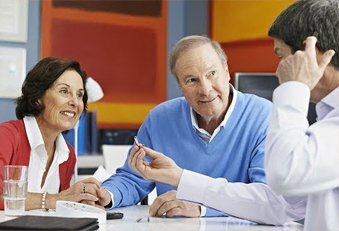 Moreover, for every pair of hearing aids you sell, you can generate a profit of up to $1000. Therefore, by selling a couple of hearing aids through the year, you can earn a profit of approximately $100,000. The hearing health industry is a fast-growing market which is not going to slow down anytime soon. Various retailers such as Miracle-Ear, Costco, CVS Pharmacies, Walgreens, and Sam’s Club are opening retails centers nationwide. Therefore, presently there are 5 job opportunities for every person who qualifies the hearing aid specialist licensing exam here in New Hampshire. However, these companies are unable to find licensed HAS to fill in the generated vacancies. If you have been thinking about changing your career, this is the right time to take the plunge. Enroll in the Hearing Aid Academy and become a graduate within 12 weeks. If you are a busy professional and can’t go to a college to enhance your skills, Hearing Aid Academy makes it easy to pass the hearing aid specialist licensing exam here in New Hampshire. Hearing Aid Academy is a comprehensive, advanced, self-paced online education program which makes it easy to study whenever and wherever you want. With a working internet connection and a laptop, you can learn from this 100% online curriculum anytime. While you are required to pay approximately $48,000 for a two years course at an accredited university or college, you can gain access to subjects required to pass the hearing aid specialist licensing exam here in New Hampshire at a fraction of the cost. The Hearing Aid Academy online curriculum starts only at $199 per month payable over a period of 12 months. Moreover, financial assistance is also provided to students who qualify for the program. The academy provides specialize education while cutting back on unnecessary subjects. At Hearing Aid Academy, we are proud of the high success track record. In today’s economy, who have the courage to leave their jobs and go back to college? If you want to enhance your skills yet cannot afford to leave your daytime job, we have a perfect solution for you. The 100% online Hearing Aid Academy self-paced program can be completed within 3 to 6 months depending on your speed. Moreover, you can easily set your study schedule around your day and study according to your convenience. Do you know licensed hearing aid specialists are currently earning an average salary of $60,000 to $70,000? Moreover, as a hearing aid specialist, you can work flexible hours with weekends and holidays off. You even have the option to earn incentives by selling hearing aids. Therefore, a career as a hearing aid specialist comes with great income opportunities. The Hearing Aid Academy has qualified and experienced hearing aid specialists on board. So even after opting for this online course, you will have expert instructors with more than three decades of experience to help you whenever you get stuck. Our qualified instructors help students clear their doubts, answer their questions, and help them understand the subject in a better manner. If you are tired of your job and want to work for the betterment of people, prepare for the hearing aid specialist licensing exam here in New Hampshire. Get the skills you need to pass the international licensing exam by registering with the Hearing Aid Academy today!